By nearly any definition, when I was 27, I had made it. I had a master’s degree in engineering from a top school, a great career with a good salary, benefits and advancement opportunities, a nice house I’d been able to buy in the hot Denver real estate market, a girlfriend, a dog, friends to go out with on the weekends… all of the trappings of a successful young adult. By the time I turned 29 I had thrown it all away, quit my job, broke up with my girlfriend, moved out of my house and into my parents’ basement, gone on Medicaid and unemployment…all to chase this crazy idea that I had: A dream of building a technology startup without actually knowing anything about technology or startups. On my last day of full-time employment, I was terrified by the prospect of not having any stable income for an undetermined amount of time, but thrilled to finally be able to give my company the time I knew it deserved. 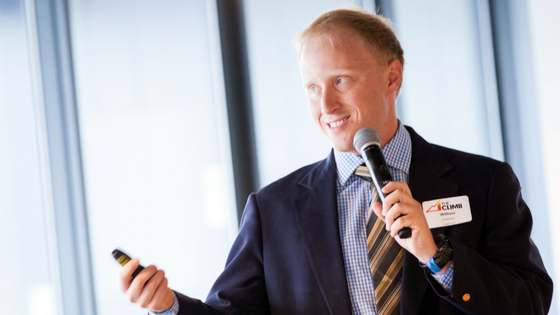 Since all of my background was in science and engineering, everything I knew about business was either from movies (The Social Network), TV shows (Shark Tank) and podcasts (StartUp), or from various mentors, advisors and consultants I’d met and worked with along the way. My business PuppTech (though at the time it was called Go Pawsible) was created to help dog owners be able to safely leave their dog in the car so they can spend more time with their best friends and less time worrying about it. In my mind, startups were supposed to be glamorous; investors throw more money at you than you can use, customers line up to buy your product, the press can’t get enough of you. I knew that our idea was so awesome, so groundbreaking, so “disruptive,” that it was only a matter of time before our success was guaranteed. I knew so much about my business, and our business plan and financial model were so good that we’d only need a few months to raise the money we needed to move forward and from there we’d be able to move quickly towards profitability and eventual acquisition which would make us all millionaires. The only question was where to find these investors that would throw money at us, and the customers that would fall in love with us. I started attending and meeting with the overwhelming number of meetups, networking events, pitch competitions, advisory groups, mentoring organizations, investor clubs, funds, institutes, consultants and accelerators offering advice, help and maybe even opportunities for funding to entrepreneurs. 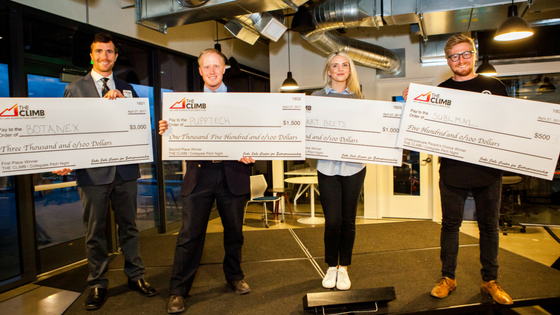 William Loopesko, co-founder of IoT company PuppTech (second from left) won 2nd place at THE CLIMB Spring 2017 competition. Early on, I went to a meeting for one of these groups where the CEO of a successful startup was being live-interviewed and fielding questions from the audience. He told the audience that one of the main reasons for his success was because he was too stupid to quit; even though there had been dozens of times in the history of his company when most rational people would have walked away, he had been “too stupid” to heed the warnings and persevered through until the business worked. Those words were the most important piece of advice I’ve gotten up to this point. As I went to more of these meetings, I realized that the easy path to funding and riches that I had imagined was actually going to be much more arduous and tortuous than I could have ever expected. I had quickly learned an important lesson for every new entrepreneur: brilliant ideas are a dime a dozen but what really determine the success of a business is the team’s ability to execute on that idea and evolve it into a business. 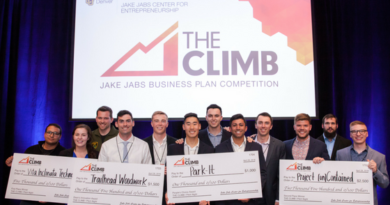 I first heard about THE CLIMB | Business Plan Competition and the Jake Jabs Center for Entrepreneurship at CU Denver through my co-founder, who is a professor at the CU Denver business school. I immediately applied to pitch. 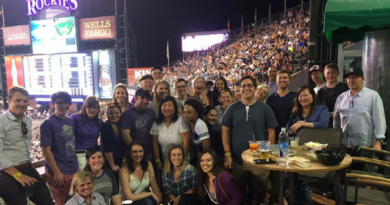 Despite our strong connection to CU Denver (through my co-founder and members of our team), our first application was turned down for the same reason other groups had turned us down: our business had failed to stand out in the midst of a crowded field. After this and the hundreds of other rejections from nearly every accelerator and investor, it was starting to look like maybe quitting might be the best option, and that maybe I really did have no idea what I was talking about. Fast-forward 18 months. We’ve pivoted our business model to make it more scalable with less up-front capital (which required completely rewriting our business plan and re-building our financial model). We’ve fired several members of our team who weren’t pulling their weight and brought on new ones. We’ve pitched our business to hundreds of investors who all turned us down, which has allowed us to really perfect our pitch to the point where some of those no’s finally turned into yeses. 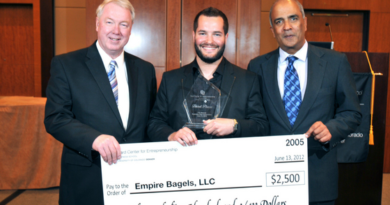 Finally, in April of last year, we were selected as one of the finalists for THE CLIMB, came in second and won $1,500. We carried the momentum from this victory forward to generate significant press coverage, and two weeks later we were named one of the top 50 startups in the world by TiE Global. We now have a deal with some investors, we’ve built MVP units, and are now working on building our beta prototypes and shipping them to our pre-order customers. We’re finally on the move, and I’m looking forward to moving out of my parents’ basement. You don’t need me to tell you that building a startup is hard. Believing that your startup will actually work, despite all evidence to the contrary, requires a degree of conviction bordering on delusion and a level of self-confidence bordering on arrogance. I still have several years of hard work ahead of me before I get my big payout, but at least I’m finally on my way. My persistence has finally started paying off, and we never would have made it this far if I hadn’t been too stupid to quit.